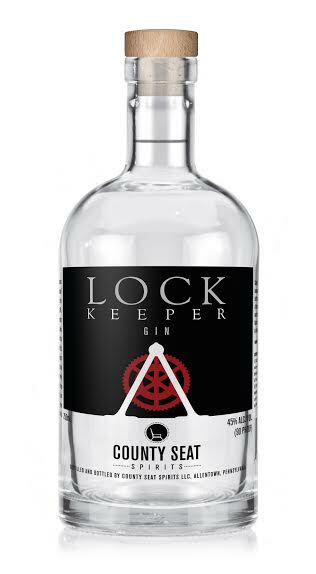 County Seat Spirits, a distillery located in Allentown Economic Development Corporation’s Bridgeworks Enterprise Center at 905 Harrison St, recently released a new gin and has expanded their distribution network across the LV. Brichta said the company has been happy with the gin’s reception since releasing it, and that Rowe, who serves as the operation’s head distillery, spent considerable time perfecting the recipe and scaling it up from test batches to production batch sizes. While the gin uses juniper, Brichta said they formulated the recipe to be citrus-forward and wanted to avoid an overly juniper-heavy flavor. The spirit is made from scratch at the distillery and utilizes County Seat’s Class 8 Vodka as a base. In addition to the new booze, they also recently added hours on Fridays (just for bottle sales and cocktails, no tours) from 4pm to 8pm in addition to their 12-6 hours on Saturday and 12-4 hours on Sunday. The distillery is also adding additional cocktails to their menu, as well as a cocktail of the week. County Seat’s liquors are also now available in bars across the Lehigh Valley. The Hamilton Kitchen, located in downtown Allentown, was the first to carry the new gin and also features County Seat’s vodka and rum on their menu and in signature cocktails. Taps Tavern on 378 in Bethlehem now carries County Seat’s gin and feature it in their ‘citrus salty dog’ cocktail. The Bookstore Speakeasy on SouthSide Bethlehem has also been incorporating County Seat’s spirits into their menu and now carries all three of their products. The Slopeside Pub & Grill at Blue Mountain, which recently expanded their dining area, features all three spirits as does the Limeport Inn, who also serve up local craft beers like Funk and Hijinx. We will also soon be available at Maxim’s 22, White Orchids, and Two Rivers Brewing. Please follow our website, Facebook, and Twitter for more updates. Limeport Inn has become my go to place for local craft beer and now the local distilleries. Sitting on the patio late at night and my only thought is “Kung Fu Gnome or Citrus IPA?” Awesome.